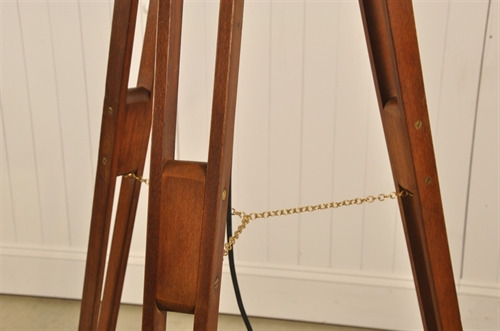 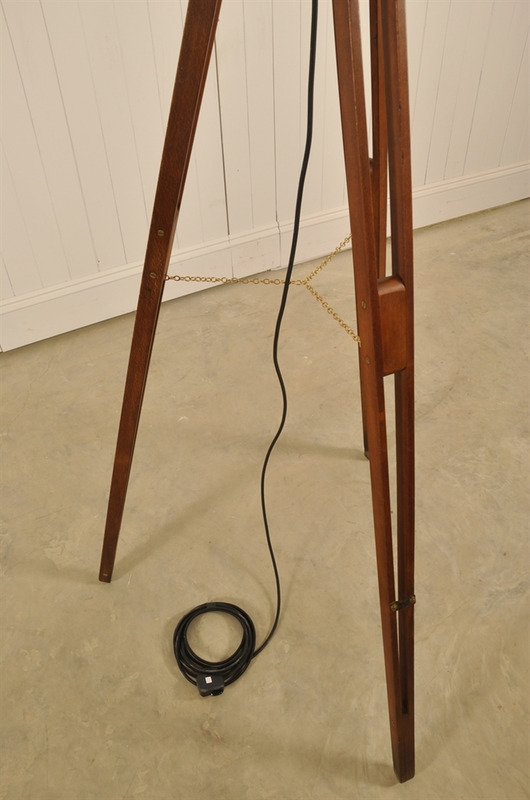 This wooden tripod is circa 1930's and would have been used in the army as an aerial stand. 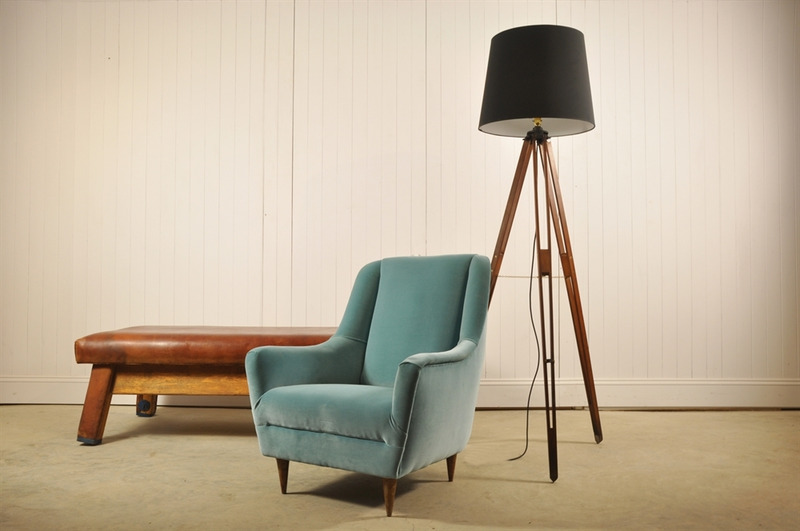 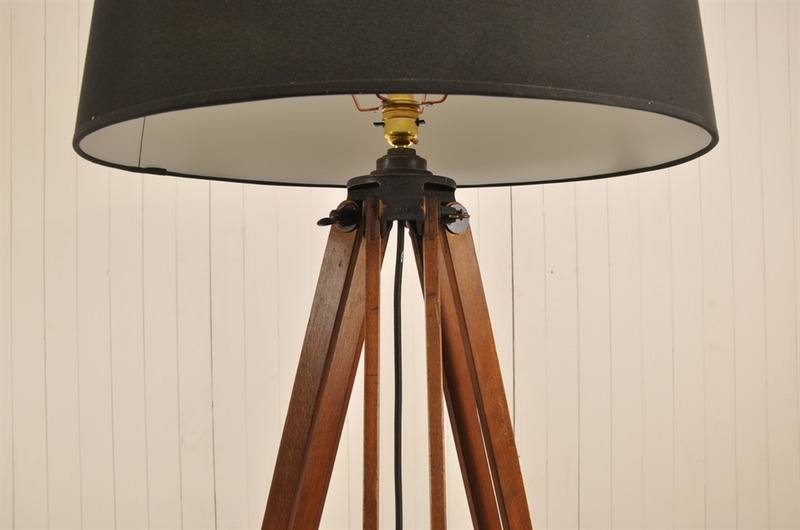 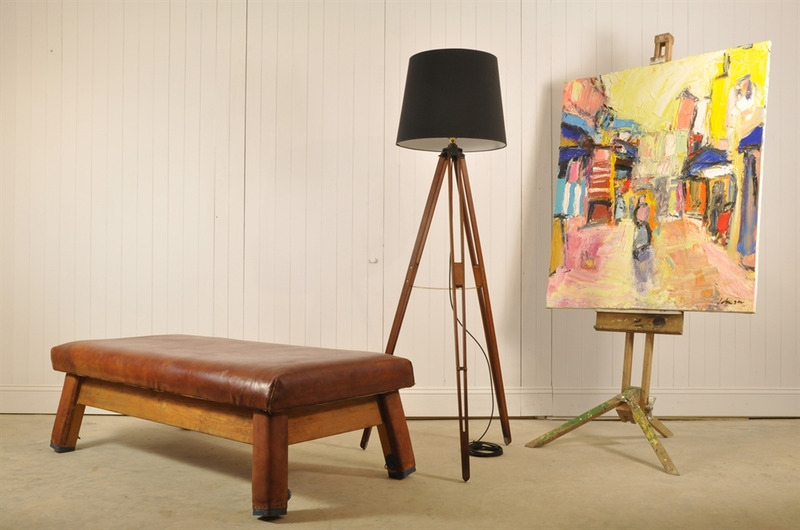 We have converted it into this smart tripod lamp with brass fittings and braided black flex. All re-wired / PAT tested and ready to be used. We also added a brass chain to stop it doing the splits. 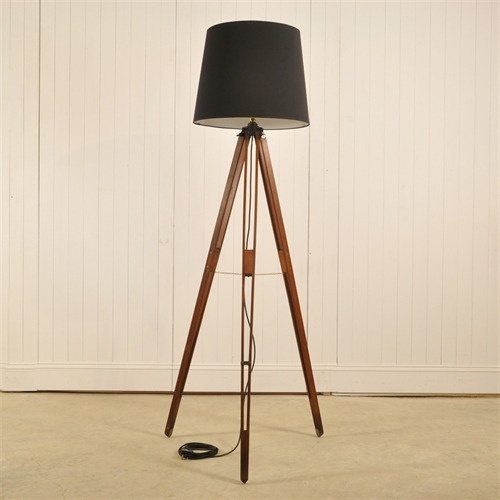 The price does not include the shade which is available @ £ 85. 150 cm h to the shade ring.